The bulk of a washing machine is made of metal, and metal rusts — especially when in the damp environment of a laundry room. When rust stains the inside of your washer, the stains can rub off on your clothing, and when rust stains the outside, it's a sign of damaging corrosion. Depending on how far along the corrosion has progressed, removing rust stains from the outside of a washing machine can be more or less troublesome, but rust stains on the inside are usually easy to handle. A common method of dealing with rust is to dissolve it with lemon juice or vinegar. These acidic condiments break down rust — which is iron oxide — by attracting the oxygen atoms to form water, which dissolves the iron compounds that are left over. Take advantage of this chemistry to clean the inner tub of your washing machine. Simply pour 2 cups of lemon juice in the washing machine and run it through a complete wash cycle. If your clothes still get rusty after cleaning the washing machine with lemon juice, it may be because there is rust in the water pipes. This is especially likely if you have an older house with galvanized iron pipes. The rust won't go away until you replace the pipes. Light rust stains on the enameled surface of your washing machine may simply be surface stains. If they are accompanied by bubbling metal or chipping enamel, you should treat them like rust spots on your car, sanding and filling the metal and coating the rust with primer and enamel. Rust stains on the chrome parts, such as the control console, might come off easily with aluminum foil. 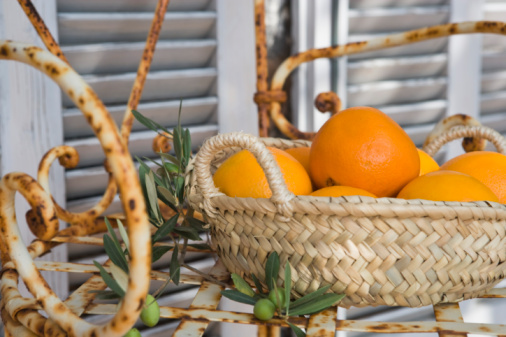 Wipe surface rust from enameled metal by spraying it with a 1-to-1 solution of vinegar and water, waiting five minutes for the rust to dissolve and wiping it off with a rag. You can also remove such stains by rubbing them with a paste of baking soda and water, and a non-abrasive cloth. Sand surface rust and enamel off corroded parts of the washing machine, using 150-grit wet/dry sandpaper. Once all the loose material is gone, treat the rust that remains with a rust dissolver, such as naval jelly. Apply the product according to the instructions and let it work for the recommended amount of time before wiping it off and, if recommended, rinsing the area with water. Fill gaps and holes with auto body filler. Mix the filler with hardener according to the instructions, apply it with a plastic putty knife — being sure to smooth it well before it sets — and sand it flat with 150-grit sandpaper. Prime all rusted areas and areas of exposed metal with a rust-inhibiting primer. Several appropriate products are available in aerosol cans. Coat the area with appliance enamel that matches the color of your washing machine. You may have to purchase this from the manufacturer to ensure an exact match. Chemistry comes to your aid again when it comes to removing rust from chrome. All you have to do is crumple up a piece of aluminum foil and rub the rust vigorously. Oxygen atoms are more easily attracted to aluminum than the iron in the chrome, preferentially forming aluminum oxide and erasing the rust from the chrome. Rubbing vigorously generates heat, which makes the process go faster. Cut a piece of aluminum foil into several 3-by-3-inch squares, using scissors. Spray water on the rust or dip the aluminum foil in water and rub the rust lightly, creating heat through friction. There's no need to press down forcefully — just keep rubbing lightly until the surface smooths out. Rub the area with a dry cloth to remove the brownish deposits that remain. Spread a small amount of automobile wax on the chrome and buff it up to prevent the rust from forming again.